When you’re ready to have a new baby, it’s important to make the best possible choices in decorating your nursery. 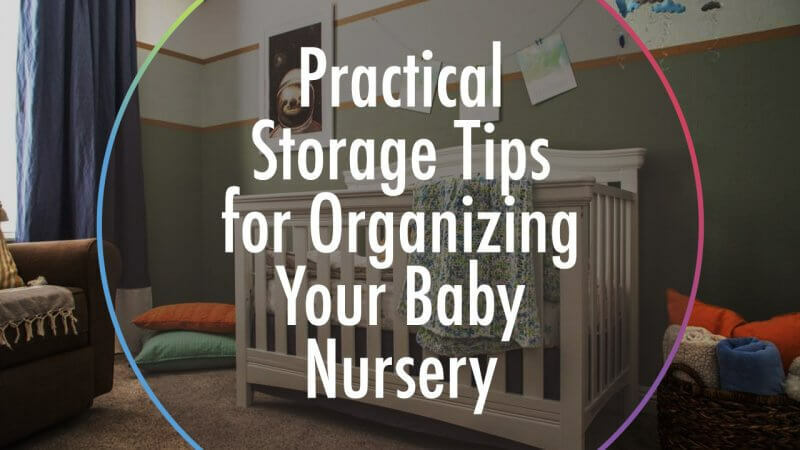 Not only do you need to choose an incredible theme and a design that enhances your home’s appearance, but you also need to figure out how you’re going to stay organized and how you’ll effectively store baby items. No two nurseries are completely alike, but they all have one important common factor: lots and lots of personal baby items. 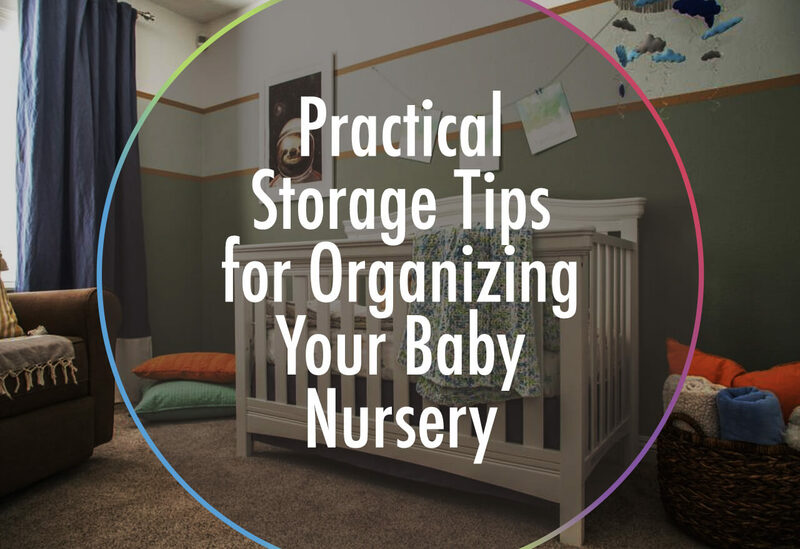 Finding storage for diapers, bottles, and clothes is essential. Here’s what you need to know. First off, consider installing shelving in your closet. Hanging baby clothes doesn’t take up too much space, so you can efficiently use the bottom half of your closet if you install some shelving. This will enable you to easily store diapers, bottles, formula, clothing, and toys. You can even include extra blankets on your closet shelves once they’re installed. Best of all? You don’t have to choose expensive shelving. There are plenty of low-cost options available. It’s also important that you use dresser space effectively. Did you know you can use your dresser for more than just clothing? Your baby’s dresser is a great place to store bibs, bags, and yes, even toys. Consider utilizing several of your drawers to store other important baby items aside from clothing. This can help you reduce clutter in your nursery and create a fantastic space your baby will love. Make the most of baskets, too. Consider placing several baskets in your baby’s space. You can use these to easily store blankets or toys. Baskets are great for storing items you use frequently since you’ll be able to grab the items easily out of the basket. As your baby grows, they’ll be able to help you retrieve items from the basket, such as toys. Using baskets is also a great way to help your baby learn to put away toys or other items once they’re a bit older and can walk around the room. No matter what type of items you use for storage, make sure you take a few minutes each day to tidy up the room. You’ll be surprised at how much you can get done in just five to ten minutes. Set a short timer so you can quickly clean up the space your baby sleeps in. A short amount of cleaning goes a long way in keeping your space clean, comfortable, and relaxing. It’s also important to declutter on a regular basis, as this will further help your space stay comfortable. Learning how to organize your home for your new baby can be tricky, but it’s not impossible. With the right tips and proper planning, you can create an unforgettable nursery your baby will absolutely love. 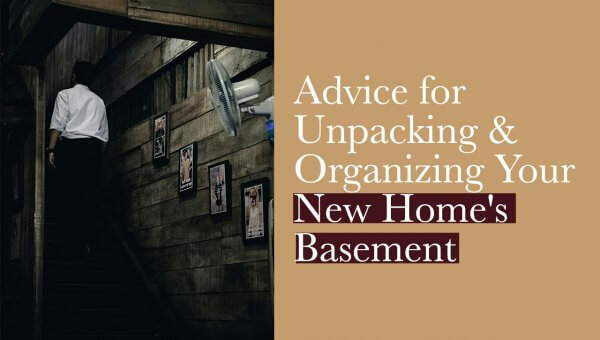 Remember that organizing doesn’t have to be stressful or tricky. A few simple steps go a long way. If you have a little one on the way, and you’re in the middle of a transition, be sure to call on us for your Chicago moving and storage needs. We’re here to help you find great deals from local moving services, so you never have to lift a finger! Move Easy. Move Happy. Move with Cheap Chicago Movers.